When you walk around nowadays, nearly everyone has their smart phone on them and they use them in ways that we didn’t believe was even possible even just 10 years ago. Smart phones allow you to do everything from organise your life, keep taps on family members and friends, make purchases online, sell online, play on games and much more. 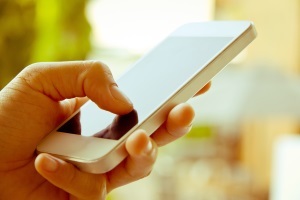 Communicating on a smart phone is even easier with the ability to send and receive messages via social media and email as well as traditional calls. From a business prospective, in all this communication are the ever popular direct emails from companies to consumers getting lost amongst the many emails received from companies each day? Is there a way to stand out from the crowd? 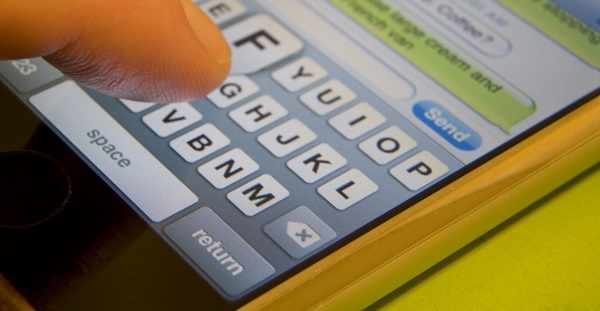 Is SMS Marketing an Alternative to Email Marketing? As the use of mobiles as a marketing, promotional and point of sales tool heats up should you be considering alternative channel of communication instead of email marketing? One possibility is the use of SMS Marketing. 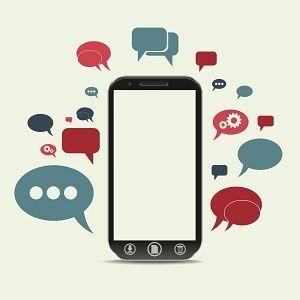 SMS Marketing has been around for a while now but has recently gained momentum as a great tool to help distinguish your marketing communication from the many others that an average consumer will receive each day. The concept of SMS marketing is that you will send text messages to your potential clients reminding them of your sales, offers and deals. They can be used alongside other means of communication to act as a reminder or a prompt. One of the key benefits to SMS marketing over any other form of direct or online marketing is that this is the fastest way of putting your message into your consumer hands. Simply Cast states that the average time between sending your message and it being read is just 7 seconds! – couldn’t get any better turnaround time for those lighting sales or promotions. Simply Cast also states that SMS Messages have an incredibly high open rate and conversion rate with almost every SMS sent opened and read, unlike emails. This instantaneous receipt of the SMS matched with its almost guaranteed action of reading the SMS means that this method of communication is well worth its very cheap cost of sending. Indeed, when compared to email marketing the cost of SMS marketing is minimal. On top of this SMS marketing does not have to jump through all the hoops that are spam filters that email marketing does. The only restriction on the use of contact details is that you must have received permission from the person’s whose number it is for communication. These factors make SMS marketing cheap, quick, easy and with minimal fuss and energy needed to run. SMS marketing can also be used as a great way to ensure good customer service for your customers. Many companies use SMS to send messages once orders have been placed directly to the purchaser’s phone. These messages include confirmation of delivery times or notification of items ordered available as click and collect. Examples of companies who use SMS post sale are Wickes, Argos and Next. All of whom have achieved great results. As shown SMS marketing has many benefits but when it comes to whether you should, or shouldn’t, carry out SMS marketing it becomes an individual company preference. If you are an eCommerce shop then yes, SMS marketing can assist you greatly and provide you with many benefits. This grows with the more engagement you have with your customers and how likely they are to appreciate reminders and promotions from yourself. If you are a hotel or restaurant in the hospitality sector then SMS marketing can be very useful for yourself as it can allow you to keep in contact with previous guests and inform them of deals and discounts coming up - if they are a frequent user of hotels or restaurants then their appreciation for these SMSs will be greater. Other industries like schools and nurseries can also use SMS marketing as a way of getting information directly to parents and guardians. Reminders about open days and events running can easily be sent via SMS and reduces the use of paper/letters which get lost or thrown away. Even industries such as Recruitment can use SMS marketing as a way of reminding people on their books of new job opportunities and deadlines. An instant reminder rather than an email they look at a day to two later. There really is no limit to SMS marketing other than the limit of the characters themselves. With an allowance of just 160 characters per text you need to ensure that you have the ability to get your point across with just a few characters. What Tools are available to help me with SMS Marketing? There are many tools out there that will allow you to send SMS marketing text messages, one of these tools is called FireText. FireText promotes itself as the number 1 SMS Marketing platform for businesses – they provide a simple, flexible and flat rate pricing structure to allow you to use their SMS platform with no contract or commitment needed. As with most services, the more SMSs you send the cheaper the price gets but you can expect to send each SMS for around 2.2p each. Their SMS platform allows you to send, receive, track and analyse your text marketing campaigns with ease. Clients of FireText that currently use the service included Volkswagen, Pizza Hut and even The Cabinet Office. Competitors to FireText include Text Local and Text Marketers. Text Local offers a very similar service but is marginally more expensive. It’s users include John Lewis and P&O Ferries. Text Marketers’ service is also very similar but is the most expensive of the three platforms on offer. This service is used by Land Rover, BMW, Subways and Dominos Pizza. Assistance Needed for SMS Marketing? If you are looking for further information or assistance in running SMS marketing campaigns using any of the platforms mentioned in this blog post then simply contact ExtraDigital today. We have a wealth of experience in promoting websites using various methods and are sure to be able to assist you as you venture into the world that is SMS marketing. Simply call us today on (0) +44 1227 68 68 98.